Even if you’ve never had the procedure done before, you’ve probably heard of a “root canal” before. While this is the shorthand term for this treatment, a root canal is not an action, but rather the part of your tooth that needs the treatment. Root Canal Therapy treats tooth root canals that have been seriously infected by bacteria. The tooth roots are vital to your oral health because they keep your teeth in place. It’s the canals inside these roots that allow nerves and blood vessels access to the jaw bone. From there, these channels extend out to other oral tissues. Root canals infected with bacteria can spread the infection to other parts of the body. If your root canals have become infected with bacteria (this is most often due to an untreated cavity), the first step in helping your tooth heal is to remove the bacteria. Root canal therapy is a process by which your dentist carefully accesses the roots through the interior of your tooth. Cleaning out the source of the infection, as well as the areas where the infection has spread, will prevent further damage. Your dentist will then fill the decay left behind in your roots with a rubber-like substance, and fill your tooth with ceramic or resin. This keeps your tooth structurally sound after the procedure. 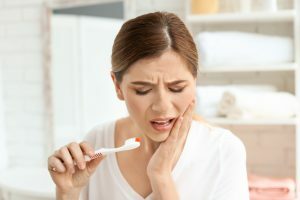 Root canal therapy can get a reputation as being a particularly arduous experience. However, root canal therapy is necessary for the long-term viability of a tooth with infected roots. Without this treatment, you may develop infection elsewhere in the body. Your tooth roots may also become so compromised that they no longer support your tooth. This can lead to tooth loss, which requires much more extensive treatment than a root canal. If you experience chronic pain in your tooth or jaw, you may need root canal therapy. Sometimes, if infection has spread, you may even notice the effects expressing themselves as headaches or ear aches. Cedar Dental will treat your damaged roots and provide a restoration that allows you to enjoy the lifestyle that you lead before infection. To schedule a consultation, contact Cedar Dental in Cedar Rapids, IA at 319-364-7108.